WARNING! Not all balls are the same, but don't take our word for it . . . .
Magicians should not let your fancy outer covering fool them into thinking that's all that makes your Professional Balls so special. Your special rubber core makes the ball heavier, which allows you to feel and control them much better. You can bounce them on a close up pad and they will ricochet back with a thump, which is good for the spectators who believe they aren't solid, yet, if you drop them into a cup, they're silent! The same cannot be said of other balls. The nylon material used on your Professional Balls makes the classic palm much easier, helped by the subtle use of the metallic thread to assist. 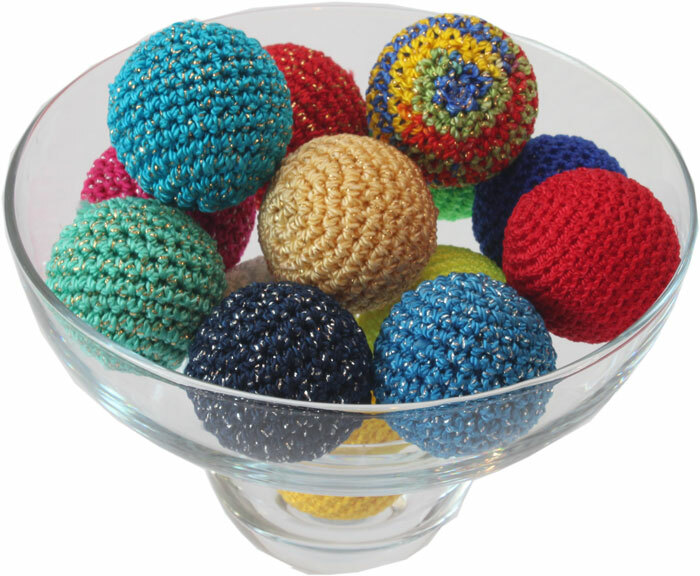 The special crochet work also makes for an uneven surface that helps keep balls from rolling too far and off the table as easily, as most other balls do. Hands down, the best balls I've ever used for the best cups ever made! 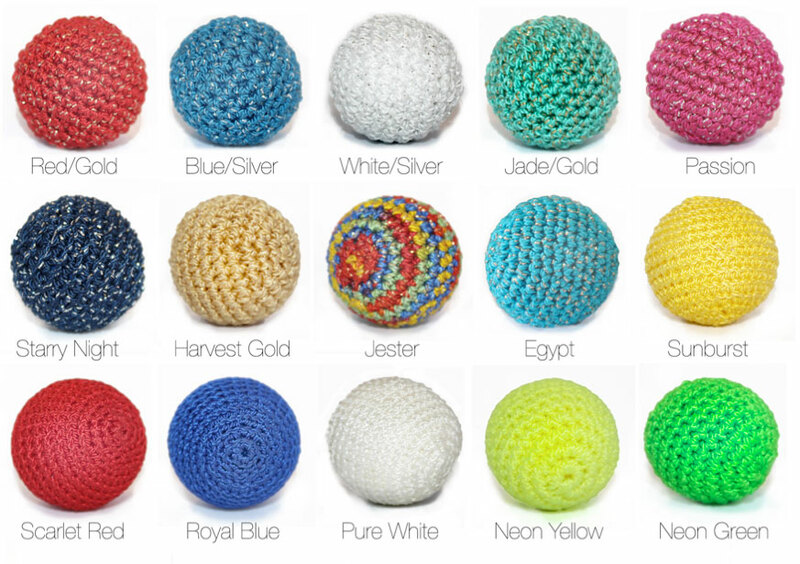 Brett Sherwood’s, Professional Manipulation Balls were designed by a professional for other discerning professional's and today they are recognized as the finest manipulation balls in the world! “The size and weight of a ball are just as important as it's appearance. Traditional lighter balls can bounce out of your hand and are easy to fumble. The added weight makes a big difference, as does the slightly larger diameter. 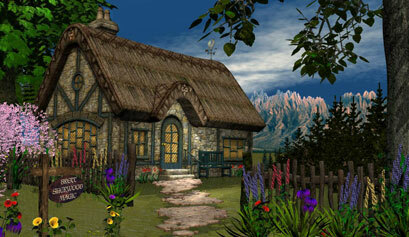 I know what great craft looks like: this is great craft, with innovative thought behind it. I have never owned better. 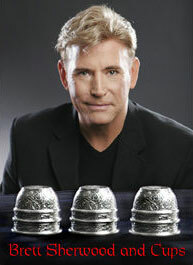 ORIGINAL DESIGN: Brett Sherwood first exhibited his Professional Manipulation Balls in the USA, at the I.B.M., S.A.M. and MAGIC LIVE conventions in 2004. The external beauty proved so popular they were immediately copied, but beware of these cheap copycat metallic balls, they may look similar, but they are vastly inferior, both inside and outside, because they lack the years of professional experience and insight required to develop these innovative designed balls. 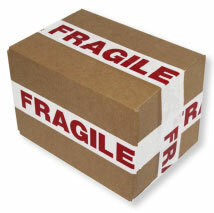 THREAD QUALITY: The crochet thread used is top quality, resilient nylon and will last a lifetime. 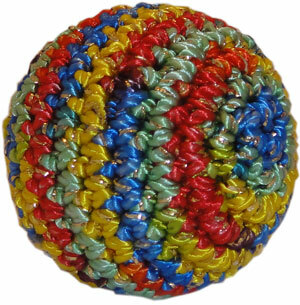 The colours are vibrant and the special nylon thread does not tangle or snag like the cheap, hairy, woolen fibre in most crochet balls. The crochet work is very tightly woven, so you will never see the interior ball between the weave, nor will the crochet-covering shift during manipulation. WASHING: Competitors claim that wood is the best centres for crochet balls during machine laundering, but common sense dictates that when wood gets wet it absorbs water, swells and can crack! The Professional Manipulation Balls have a rubber centre, which is 'waterproof'! You can be completely confident when washing the Brett Sherwood Professional Manipulation Balls in mild, liquid, clothes soap and air to dry. INNER RUBBER CORE: Dai Vernon used solid, rubber core balls and he was against using sponge balls, as the collapsible nature of the sponge may lead the audience to suspect that this has something to do with the trick and in most cases it does! Brett Sherwood preserves the Professor’s philosophy and has spent two years refining his Professional Manipulation Balls. 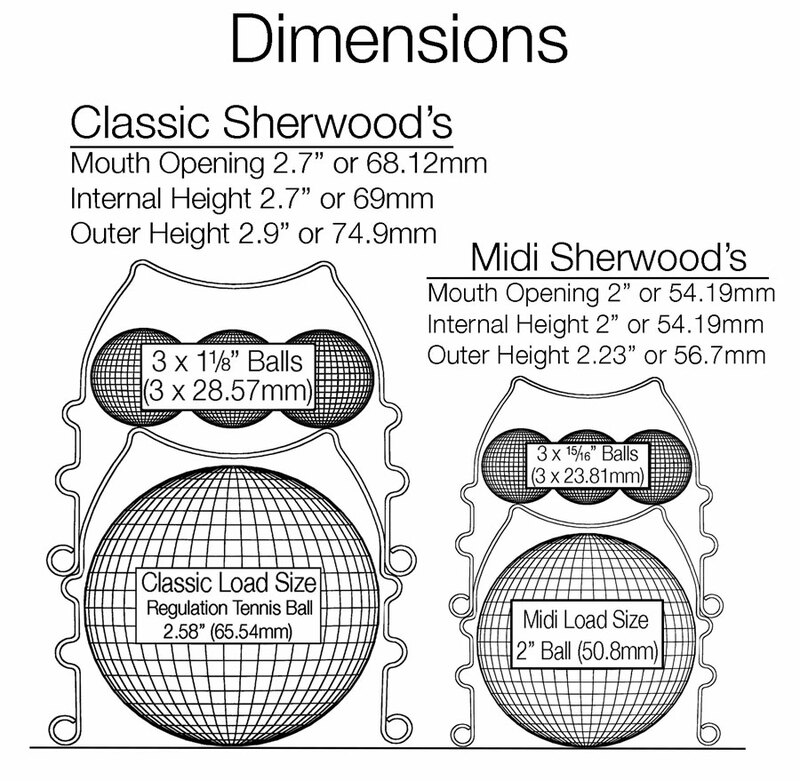 Brett Sherwood specially orders the solid, rubber core to his exacting specifications, not too soft (like a paddleball) and not too hard (like a Super Ball®). This attention to detail gives the balls their perfect weight and this attention to detail also creates a virtually silent manipulation ball! Brett’s innovative thinking and attention to detail is what distinguishes his Professional Manipulation Balls beyond compare! CALIBRATING THE CHOP BALL: At Brett Sherwood Magic we are able to perfectly calibrate the chopped ball to work with the chop cup before you receive it. Therefore, we highly recommend you purchase a chopped ball set in the same order as the chop cup to enable us to perfectly match the chopped ball to the your chop cup.